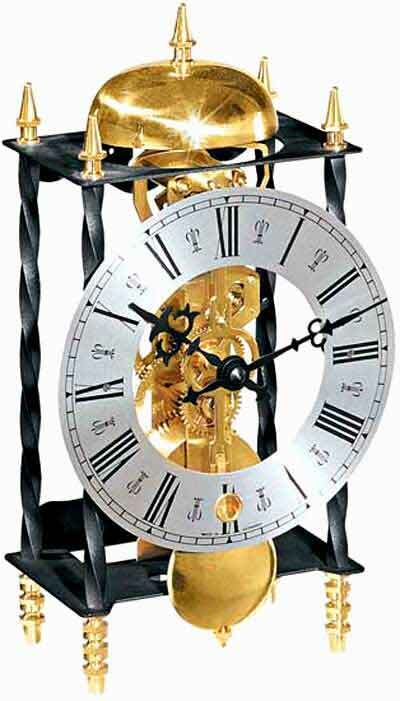 The Hermle Galahad 22734-000701 is an antiqued style table - mantel clock featuring a wrought iron case with twisted columns and a Roman numeral dial. The German 14-day passing bell strike movement has a polished bell to accent the polished brass feet. 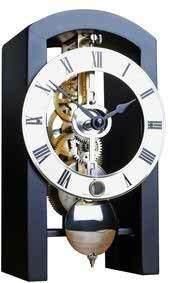 One strike on the hour for each hour. The 14 day movement needs to be wound twice a month. Made in Germany. 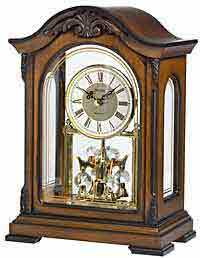 Size: H. 9 1/2" x W. 5 1/2" x D. 3 3/4"
Clocks for sale at The Clock Depot including the 22734-000701 at discount prices.